Finally, a new version of Wpdesigner.com will launch next week. 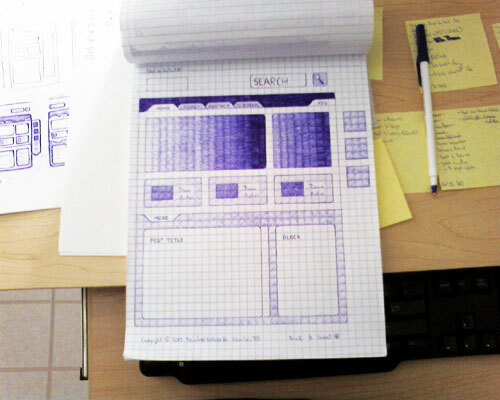 Below is a photo of the home-page wireframe/layout (for you nosy people). Recently, Wpdesigner.com had a facelift. It doesn’t make sense to redesign again unless Wpdesigner will go through some big changes. This is not simply a redesign. If you want to know what changes and additions are upcoming, read the news and updates.